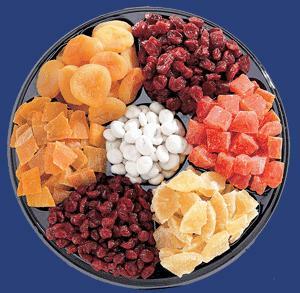 Business Description: Dried fruits are fresh fruit that are dried in order to be stored more easily. In history, many civilizations used the method of drying fruit in order to benefit from the quality of fruit in winter. This method is more effective than freezing fruit, for frozen fruits lose their vitamins. Drying fruit was made only in the sun for periods of 1-2 weeks, but today drying/ dried fruits can be done much faster using professional fruit dryers. Because these devices, can now be found in stores, many kinds of fruits can be dried, among which we mention: bananas, apples, kiwi, apricots, blackberries, peaches, cranberries, blueberries, grapes, plums, and more others. Dried fruits are very healthy, some of them even indicated to treat certain diseases, such as heart disease, anemia, lack of energy, circulation, cholesterol. Drying/ dried fruits can be done with machines through dehydration. These devices must be professional, as small appliances only get a very low productivity. A professional appliance for drying fruit costs between 1800-2000 Euros/ 1200 - 1500 dollars. We know that prices in stores are very high for dried fruits; such investment in the acquisition of professional drying device can achieve a great revenue. Dried fruit can be sold in 100 g packs or bulk, and customers can be greengrocers or supermarkets. - Deals with grocery, intermediaries. Conclusion: This business can start off with little money and can make significant profits, in addition to offering customers a healthy product. 0 Response to "Business Ideas : Dried Fruit"